As President of Healy Construction, Kathy Healy oversees and monitors all financial and corporate aspects of the firm. She has effectively managed the firm’s resources throughout its 28 year history. She supervises the office staff, oversees field staff and encourages employees’ professional growth. 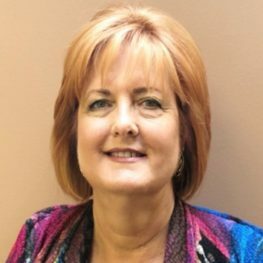 Kathy Healy is involved in all business facets including insurance, human resources, employee benefits and IT operations. She reviews client contracts, subcontractor agreements and required documentation for construction contracts. Her contractual knowledge and attention to detail ensure the client achieves their construction goals. She coordinates all licensing and bonding requirements for contractor registrations at the state, county and/or local municipality level. Her extensive knowledge of various city and state requirements has helped the firm achieve a national presence in today’s market. She has used her business leadership skills to benefit several organizations. Kathy is a long-standing member of the Federation of Women Contractors, National Association of Women in Construction, Retail Contractors Association, National Association of Women Business Owners, and The Magnificent Mile Association. Kathy enjoys giving back to others with her support of many charitable causes such as the Susan G. Komen Breast Cancer Foundation, Easter Seals, Gilda’s Club, Boy Scouts of America and Win. She is also involved with Healy Construction’s sponsorship of local events for various schools, universities, hospitals, non-profits and individuals. A devoted Chicago Bears and Blackhawks fan, Kathy enjoys attending local sporting events in her spare time along with golfing, boating and traveling with her family and friends. 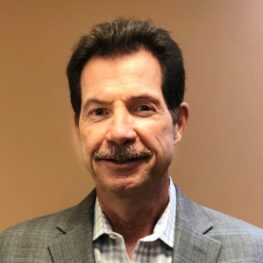 As Vice President of Healy Construction, Jim Healy has helped the firm grow from a local contractor to a nationally recognized general contractor with a broad portfolio over the past 28 years. Jim oversees the supervision and project management of all retail and commercial construction projects, including ground up construction, interior build-outs, remodels and service work. He liaises regularly with the field staff and project management team to ensure that project goals are achieved. As a hands-on leader, Jim enjoys the interaction with clients, architects, staff and the project management team. Jim Healy has developed many legacy client relationships over the years, and he enjoys exploring new business opportunities to establish long term clients. As the business continues to thrive, Jim enjoys meeting prospective clients and showing how Healy can help them achieve their construction goals in a professional, timely and budget conscious fashion. As a past President and Board Member of the Retail Contractors Association, Jim appreciates the national contacts and relationships formed during his tenure. He has given back to the community with his involvement in local youth organizations and politics throughout the years. Jim was elected to serve on his local city council for several terms helping residents in the area and has developed programs to benefit children and seniors. During his many years in office, he has overseen the ground up construction of a new city government building along with the building of new and improved roads. An avid Chicago sports fan, you can find him at Bears and Blackhawks games during the season. In his spare time, Jim loves fishing, traveling locally and abroad, golfing and spending time with his family and friends. James provides senior leadership support in the pursuit, launch and execution of larger scale projects. His hands-on leadership style, coupled with real life experience is a key ingredient in successfully delivering high quality projects. James Healy joined Healy Construction in 1999 as a Safety Coordinator and currently serves as Director of Construction. In his current role James leads Healy’s team of project managers, project coordinators, and superintendents. James has overall responsibility for directing projects from their inception to completion, and has completed millions of square feet in commercial and retail construction projects across United States, including ground up construction projects, interior build-outs, remodels and service work. 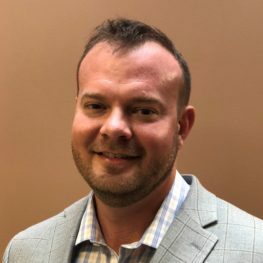 James is a client centric, results driven leader who has a long-established reputation for consistently delivering clients’ projects on time and under budget, with honesty, integrity, and an unwavering commitment to client satisfaction. Specialties include: Marketing, Pre-Construction Services, Budgeting, Sub-Contractor Procurement, Construction Operation, and Contract Negotiation. Kevin is an accomplished sales, marketing, and strategy leader with extensive business to business and professional service experience. 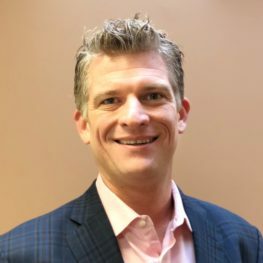 In fifteen years of developing, implementing, and maintaining strategic growth initiatives, Kevin has established a reputation for consistently achieving and surpassing year over year revenue goals. Clients value Kevin’s ability to identify and avert potential problems, at the same time appreciating his casual demeanor combined with an aggressive approach to getting things done.